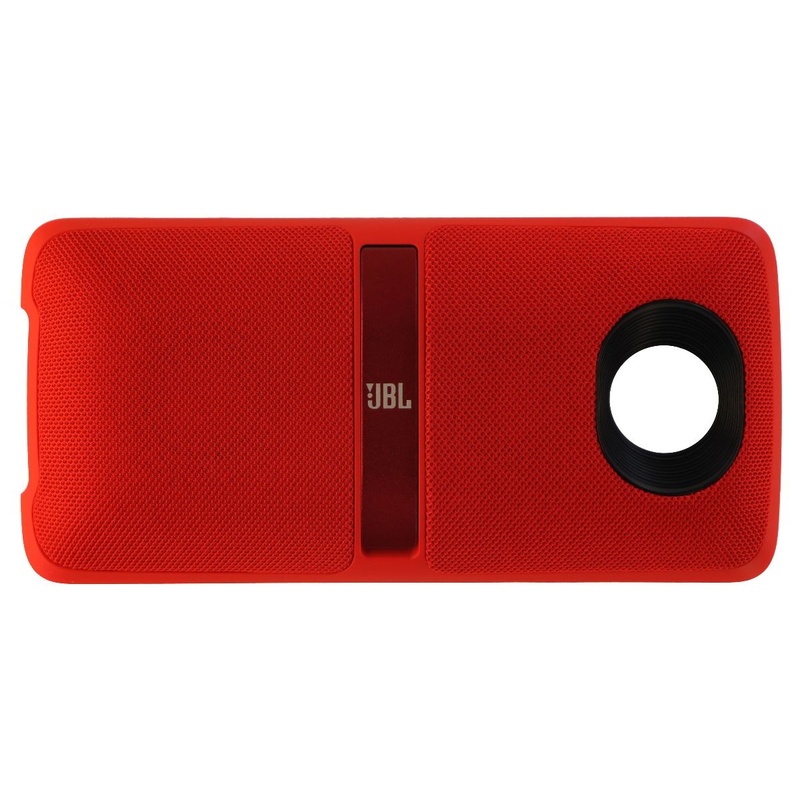 JBL by Harman, The MotoMod Soundboost 2 Audio Speaker Mod for Motorola Moto Z Phones. Red version. Model: JBLSDB2USREDP. 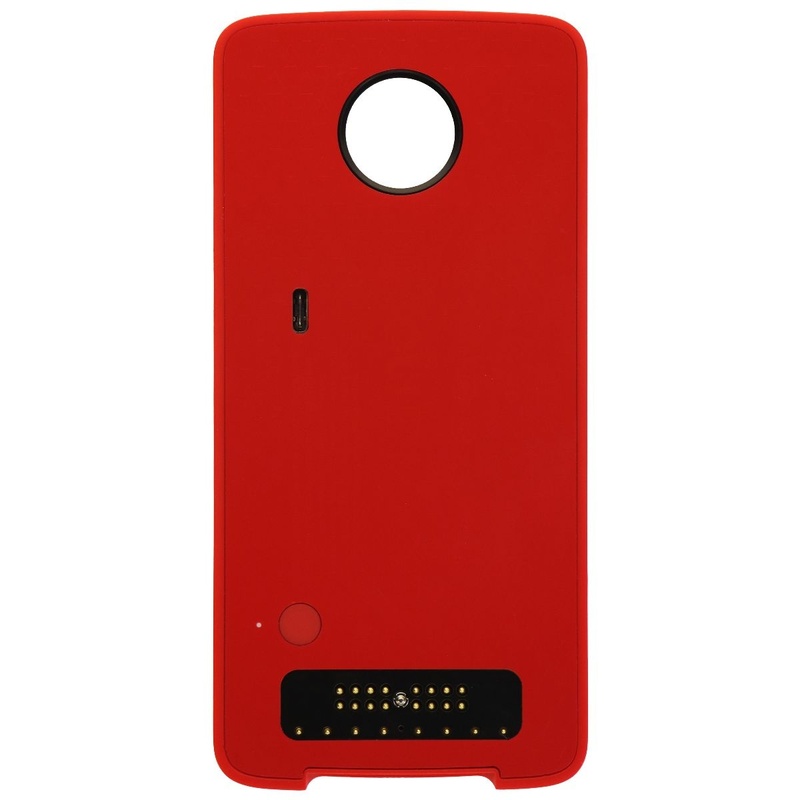 Compatible with Moto Z phones with Moto Mods platform 1.0 or later. - Experience true JBL® high-quality sound for music, movies, videos, and games. 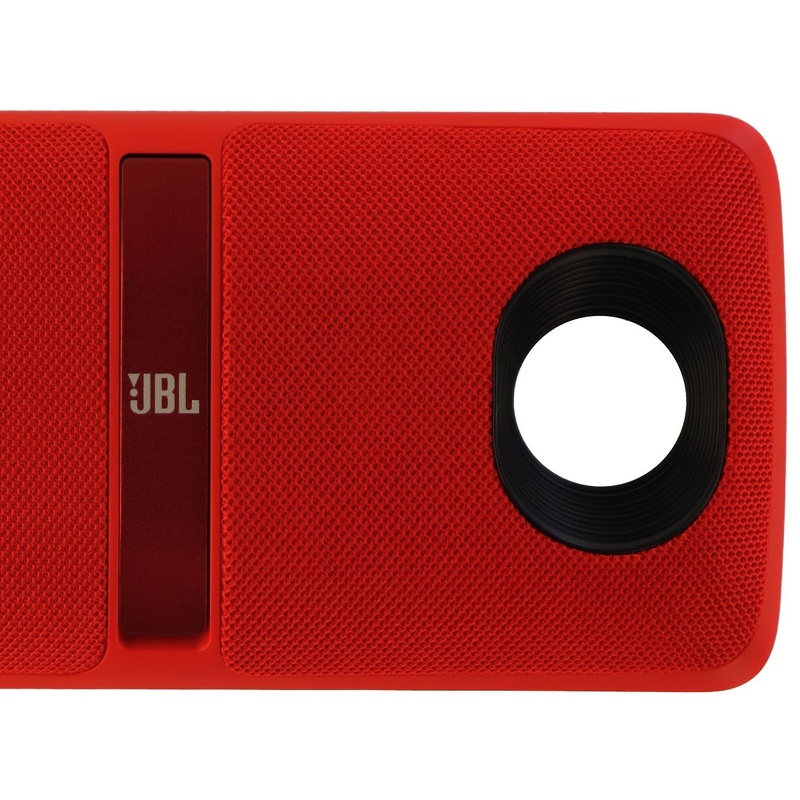 - Simply snap on your phone for instantaneous JBL audio. It’s easy to connect and No pairing required. - SoundBoost 2 also has inbuilt battery that provides up to 5 hours of great JBL sound. - This sleek, compact loudspeaker also features an integrated kickstand to watch movies or project your music with ease.